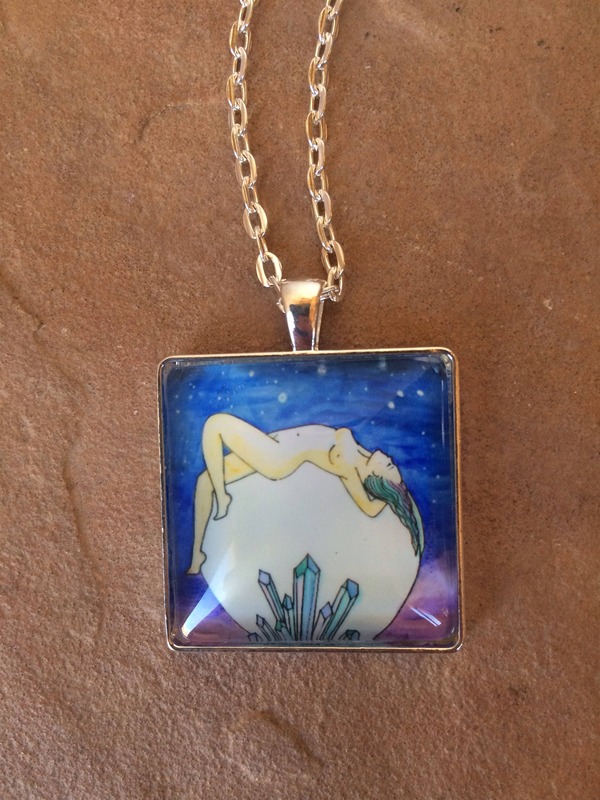 A special glass tile pendant necklace featuring the fun MOONING image of a moon bathing goddess. 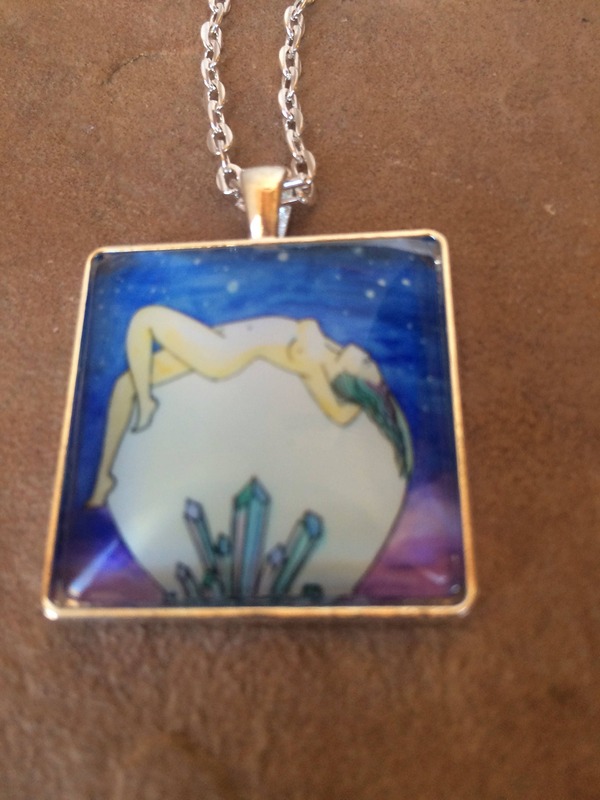 The image is beautifully displayed in a 1" x 1" silver metal frame with a protective glass tile set inside. 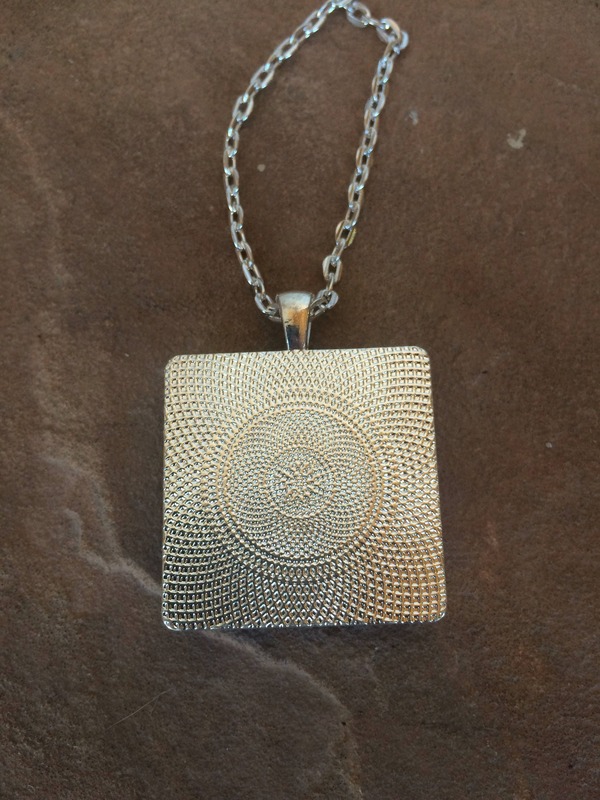 The pendant has an eye catching etched metal design on the back and hangs from a silver metal chain. Looking for art prints? Head over to www.spiritysol.com for the full size version of this image and many more inspiring pieces.